The cemetery is massive and absolutely beautiful, and we parked at the entrance to take the leisurely stroll down to the grave site, only to be stopped halfway by security, who politely asked if he could be of assistance, followed by, “let me guess, you’re here for Lovecraft.” He then stressed that there’s no rubbings or photography allowed, pointed us in the right direction and was on his way. Now, of course I wasn’t going to listen to a silly instruction like “no photography,” so the first thing I did when I got there was to sneak the photo above, and it’s good I was quick ’cause the fucker came around again a second later to chat. He proceeded to tell us all the stories of the strange visitors to his grave, wearing black cloaks, performing services, obstructing his vehicle so they have a little more after the cemetery is closed, and how they have a trash can nearby just for him. He then noted how the “posers” leave things like alcohol on his grave, though if they were true fans they’d know the man didn’t drink, smoke or do any drugs, yet he’s never had to pick up single cup of coffee from his grave, which the man did in fact, enjoy. From there we checked in at the Bed & Breakfast on Benefit Street, which was directly across the street from The Shunned House. 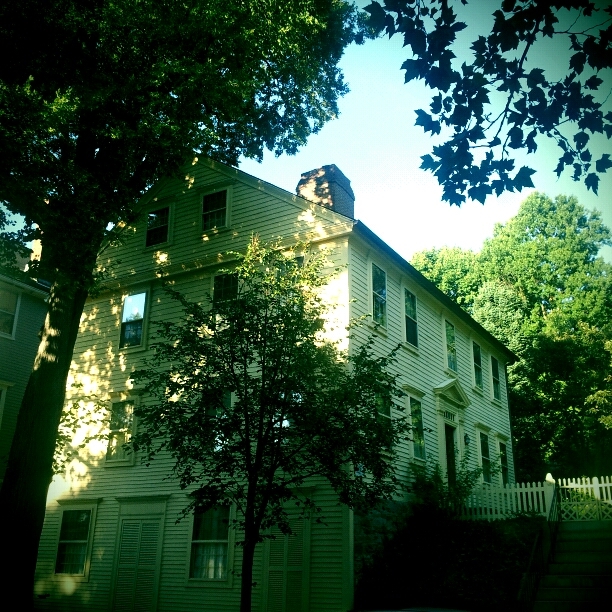 Having recently reread the story, looking at the house–especially at night, when the street was dark and very quiet–sent a little bit of a chill down my spine, but in the bright sunlight, it was just like any other house on the street. The rest of the obligatory Lovecraft walk followed, with me “dragging” my girlfriend around to Lovecraft’s old home, the house of Charles Dexter Ward and Prospect Park, among others. The view of the city from Prospect Park, I must note, is absolutely stunning, and I can see why Lovecraft would want to spend a lot of his time here. It’s set up on one of the VERY steep hills in Providence with a panoramic view of the historic College Hill area directly below and the big city just across the river. 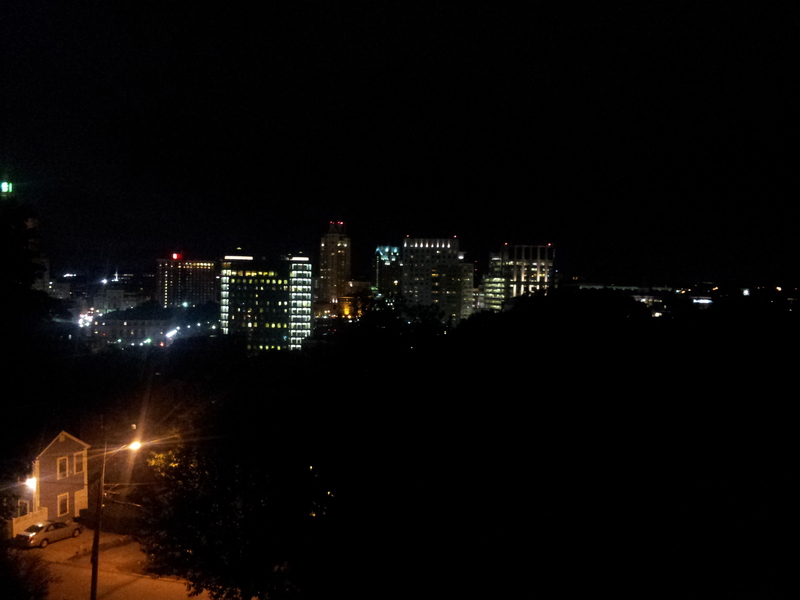 We had to come back on our last night in Providence just to look down over the city after dark, drink coffee and relax. Time was spent in both the historic district as well as visiting the shops and used bookstores of the main city. We also took a trip to the John Brown House Museum and did the guided tour, which was actually quite interesting, and the mansion, which saw such visitors as George Washington, was magnificent. 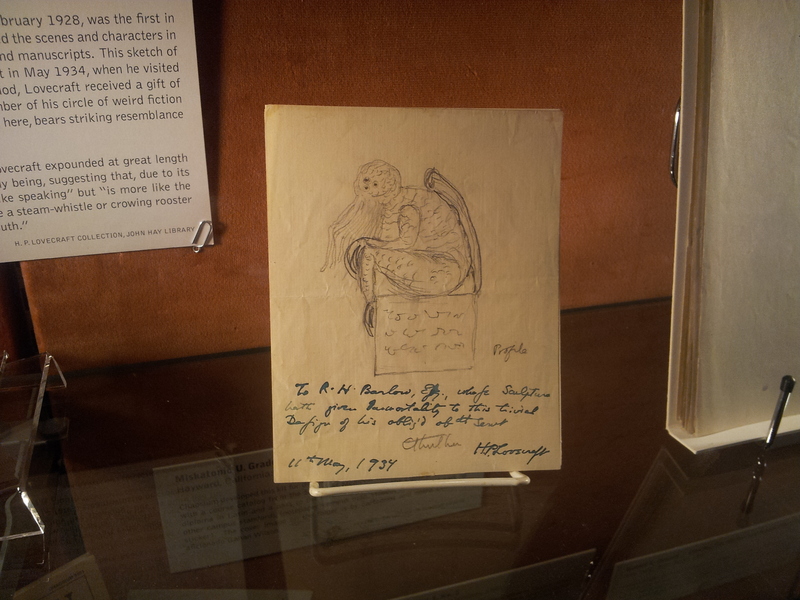 But the highlight of the exhibits we visited, at least for me, came when we entered the Providence Athenaeum Library. 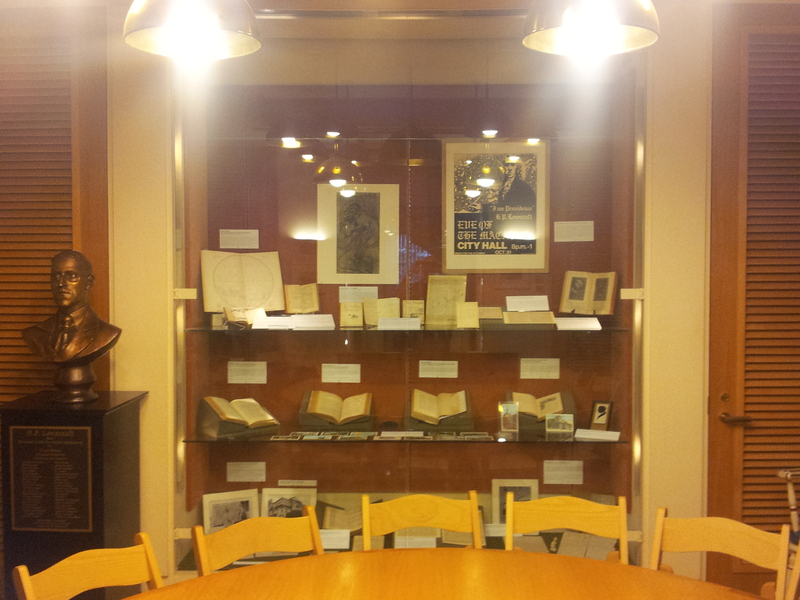 On display in this elegant library was a large collection of original manuscripts, artwork, a bronze bust of H.P. Lovecraft and many other pieces that both gave me chills and made me want to cream my jeans. When we had gotten to the library the exhibit was locked down for the night, but they opened it up just for us and we had the whole room to ourselves, with freedom to take photos and browse to our hearts content…and I took a LOT of photos. 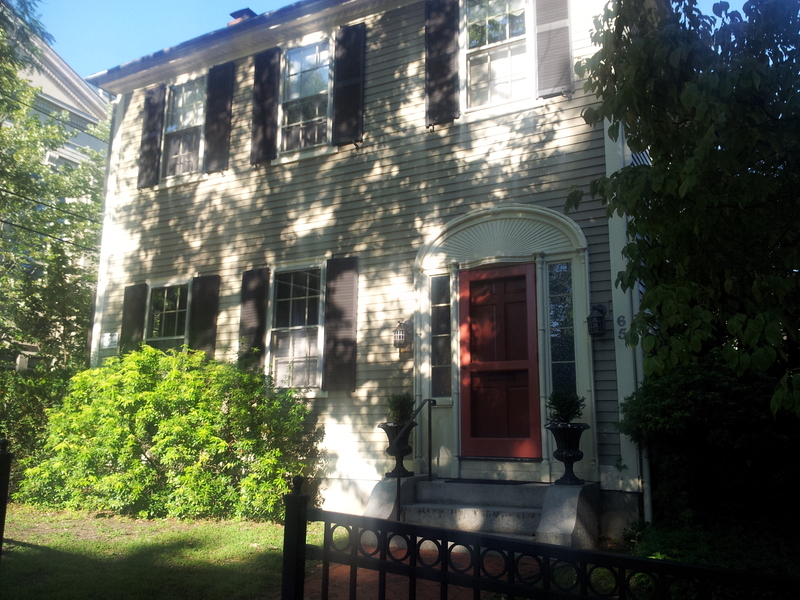 All in all it was a wonderful trip and I think I could easily live in Providence. It has the best of both worlds, with a quiet and peaceful historic district and the big city just a short walk over the river. If I had to choose, I’d say we probably enjoyed our stay in Salem more, but it was a great contrast and the Lovecraft exhibit was a nice end to our first trip to New England. 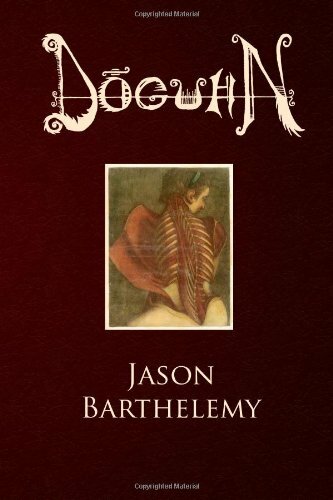 This entry was posted on Monday, September 16th, 2013 at 8:49 PM	and tagged with Athenaeum Library, h.p. 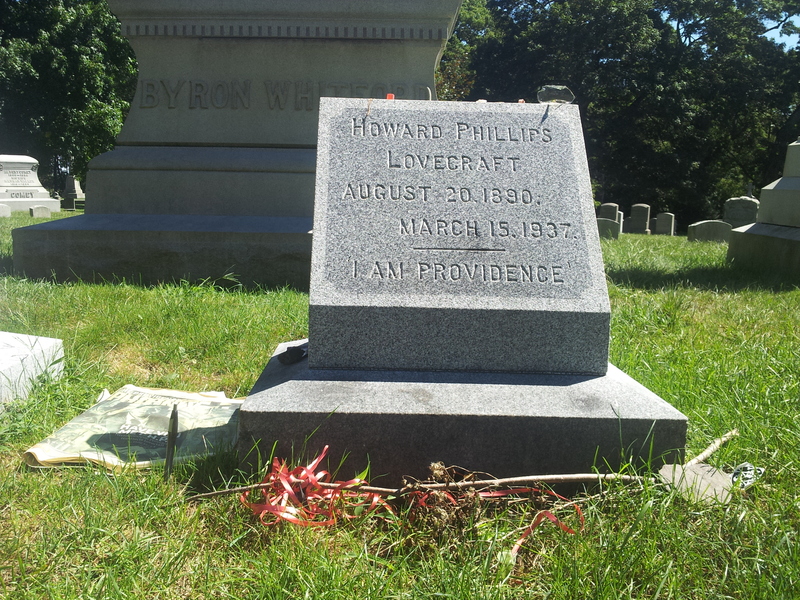 lovecraft, John Brown House, Providence, RI, Swan Point Cemetery and posted in Dreaditorials. You can follow any responses to this entry through the RSS 2.0 feed.